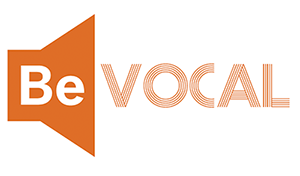 Are you looking to incorporate BeVocal into your current presentations? Is your program or organization going to table at a campus event? Are you looking for material to hand out on BeVocal? Look no further! To request any and all BeVocal promotional material for your events, please fill out the google form below. BeVocal believes that forming partnerships with campus departments and organizations is pivotal in reaching our goal of reducing harm on campus. Campus Partners play an important role of using our BeVocal Model and logo to spread knowledge on how to be an active bystander. We recognize that funding is a necessary and sometimes difficult part of hosting an event and BeVocal wants to help! Check out our Hornslink page to find out more about the BeVocal Co-Branding Grant that can offer up to $2,000 to help with your event!